A-1 takes you back to the 90s…in style. I stumbled across this guy after a friend showed me his Pokemon-sampling banger entitled “Charizard”. 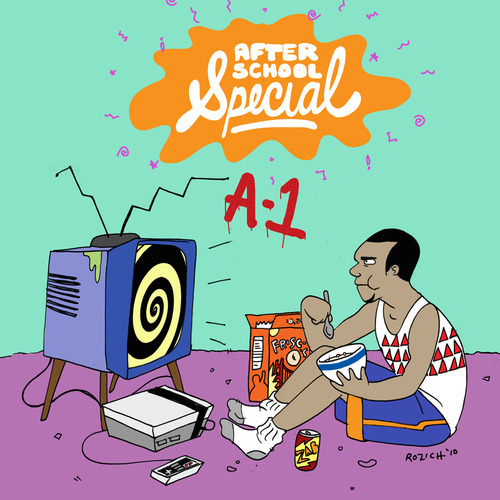 I decided to check out what else he had and ended up discovering his latest mixtape, After School Special. The mixtape, which only runs 30 minutes, is birthchild of the sickest hip-hop concept I have ever encountered. After School Special samples 90s TV Show classics including Doug, Reading Rainbow, All That!, Power Rangers, The Price is Right, and many more. For those who grew up in the 90s, this mixtape will really take you back to a time where TV wasn’t plauged by the likes of Hannah Montana and iCarly. This entry was posted in New Music and tagged A-1, After School Special, All That!, Doug, Power Rangers, Reading Rainbow, The Price is Right. Bookmark the permalink.